The lens of industry competition helps diagnose why the U.S. political system is failing to deliver results for the average American. 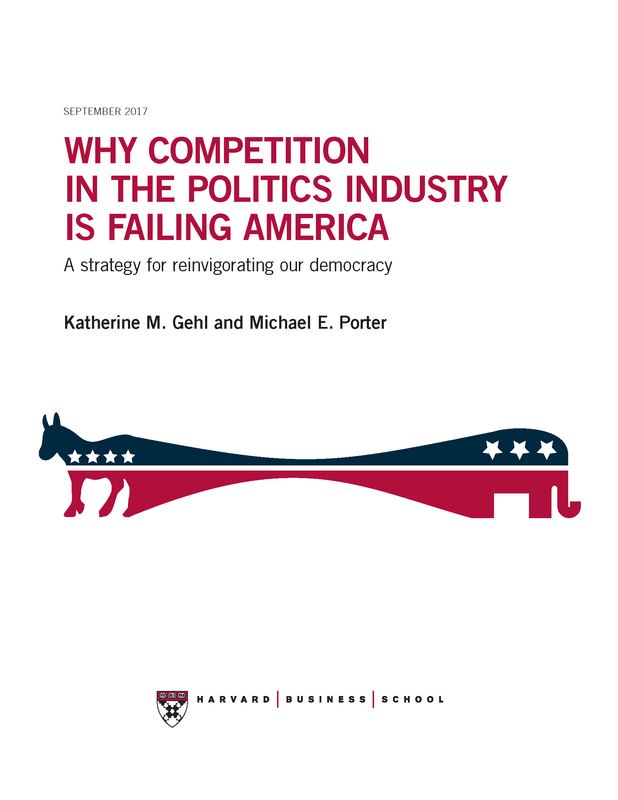 A Five Forces analysis explores the nature of competition in the politics industry, identifies the root causes of poor political outcomes for customers (citizens), and provides a strategic framework to determine reforms that are powerful and achievable. The 2016 HBS report on the State of U.S. Competitiveness provides a comprehensive analysis of five years of research from the U.S. Competitiveness Project along with the findings of the 2016 HBS survey on U.S. competitiveness. This survey was administered to HBS alumni worldwide, HBS students, and members of the U.S. general public in May—June 2016. The 2015 HBS survey on U.S. competitiveness reveals that business leaders are concerned about the economy’s ability to generate shared prosperity. America’s business environment is improving, but alumni doubt that firms in the U.S. will be able to improve living standards for the average American. Alumni see issues like inequality, middle-class stagnation, and economic immobility, as social as well as business challenges. This report calls on business leaders to take stock of their efforts to improve pre-K-12 education and commit to an innovative approach called “Collective Impact,” a community endeavor that addresses fundamental weaknesses in the U.S. education ecosystem. 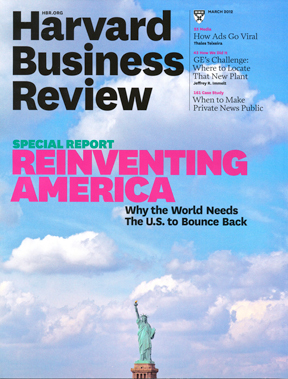 In June 2015, nearly 75 experienced leaders from across business, government, labor, academia, and media gathered at Harvard Business School to discuss a topic of increasing concern in America: How can our nation continue to remain competitive while also providing a path to prosperity for more citizens? This report highlights the group’s deliberations and summarizes the HBS research that was presented during the convening. America's unconventional gas and oil resources are perhaps the single largest opportunity to improve the trajectory of the nation’s economy, at a time when the prospects for the average American are weaker than experienced in generations. The benefits can be achieved while substantially mitigating local environmental impacts and speeding up the transition to a cleaner-energy future that is both practical and affordable. 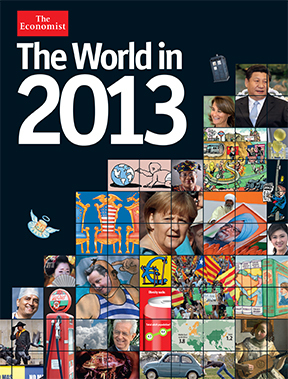 This report presents the findings of HBS' 2013–14 survey on U.S. competitiveness. It highlights a troubling divergence in the U.S. economy: large and midsize firms are prospering, but middle- and working-class citizens and small businesses are struggling. Policy steps for the president and Congress to follow in order to make American companies more competitive and their employees more prosperous. Some of the world’s most original thinkers explain the competitiveness challenge America faces and point the way forward. A detailed methodology of HBS' 2016 alumni survey on U.S. competitiveness. America’s labor market has entered a “new normal” phrase. Although the unemployment rate has declined after the Great Recession, underemployment remains a major problem and the percentage of workers stuck in part-time jobs is well above historical norms. Yet, at the same time, employers are posting a record number of positions. Professor Joseph Fuller suggests that resolving this paradox will require education institutions and employers to adopt a new approach to skills training. Professor Michael E. Porter discusses the economic benefits from North America's unconventional oil and gas energy resources. Professor Porter discusses the unconstructive debate around these resources, and what should be done to fully realize their benefits while minimizing environmental and climate impacts. Professor Michael E. Porter and Professor Jan W. Rivkin discuss the findings of Harvard Business School’s 2015 Alumni Survey on U.S. Competitiveness, The Challenge of Shared Prosperity. Alumni are optmistic about the ability of U.S. firms to compete globally, but they doubt that firms will be able to lift the living standards of the average American. America’s leading companies are thriving, but the prosperity they are producing is not being shared broadly among U.S. citizens. 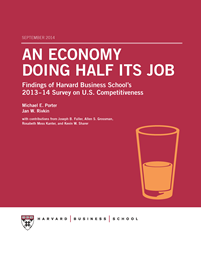 Jan W. Rivkin presents results of HBS's 2015 Alumni Survey on U.S. Competitiveness. 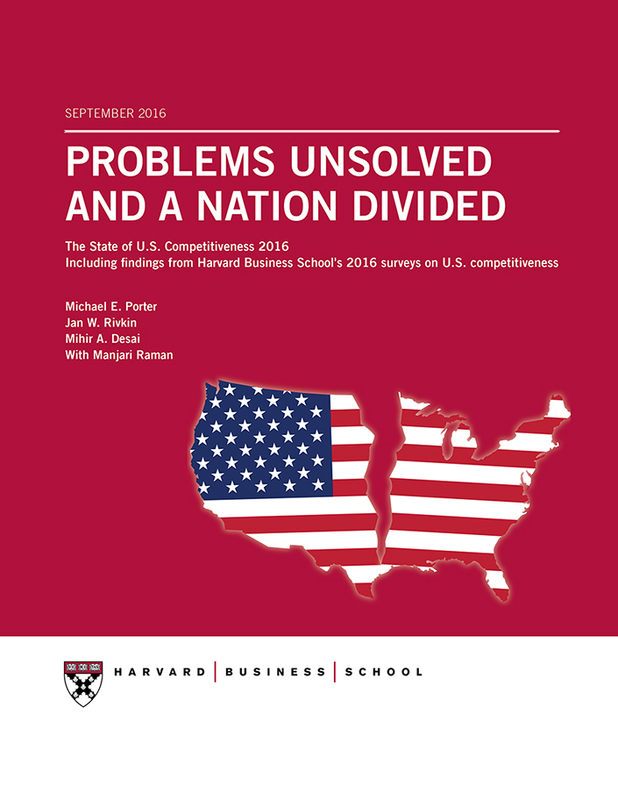 A detailed methodology of HBS' 2015 alumni survey on U.S. competitiveness. Michael E. Porter and Jan W. Rivkin discuss the findings of Harvard Business School’s 2013–14 Alumni Survey on U.S. Competitiveness. Their report, "An Economy Doing Half Its Job," focuses on a troubling divergence in the American economy: large and midsize firms have rallied strongly from the Great Recession, and highly skilled individuals are prospering, while middle- and working-class citizens are struggling, as are small businesses. Superintendents find new, deeper ways to work with business beyond a financial gift. Complexity in the tax code has negative redistributive and growth consequences that have only accelerated over time as more and more policy goals are now implemented through the tax system. The U.S. Chamber of Commerce Foundation recommends a new demand-driven approach—talent pipeline management—to close the skills gap. Extending lessons learned from innovations in supply chain management, this paper calls for employers to play a new and expanded leadership role as “end-customers” of education and workforce partnerships. This paper looks at some of the issues firms moving large assembly operations back to the U.S. have faced, along with recommendations for more successful implementations. A detailed methodology of HBS' 2013–14 alumni survey on U.S. competitiveness. The United States is competitive to the extent that firms operating in the U.S. can compete successfully in the global economy while supporting high and rising living standards for Americans.